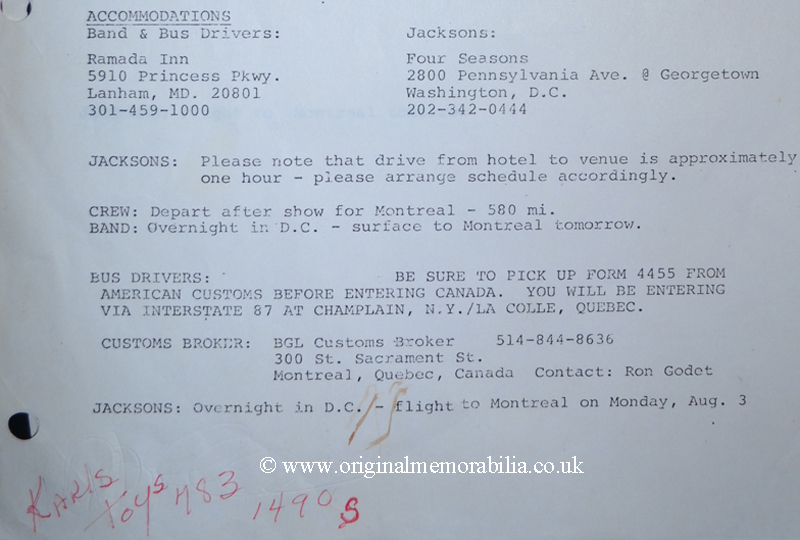 Jackson 5 1981 Tour Document A rare 16 page document from 1981 from the Jacksons 'Triumph Tour'. The itinerary provides precise details for both the Jacksons and the crew. 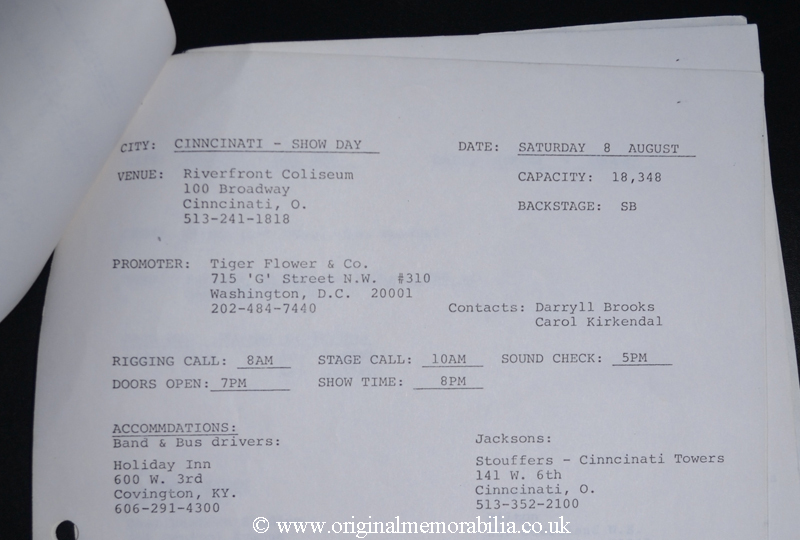 A rare 16 page document from 1981 from the Jacksons 'Triumph Tour'. The itinerary provides precise details for both the Jacksons and the crew. 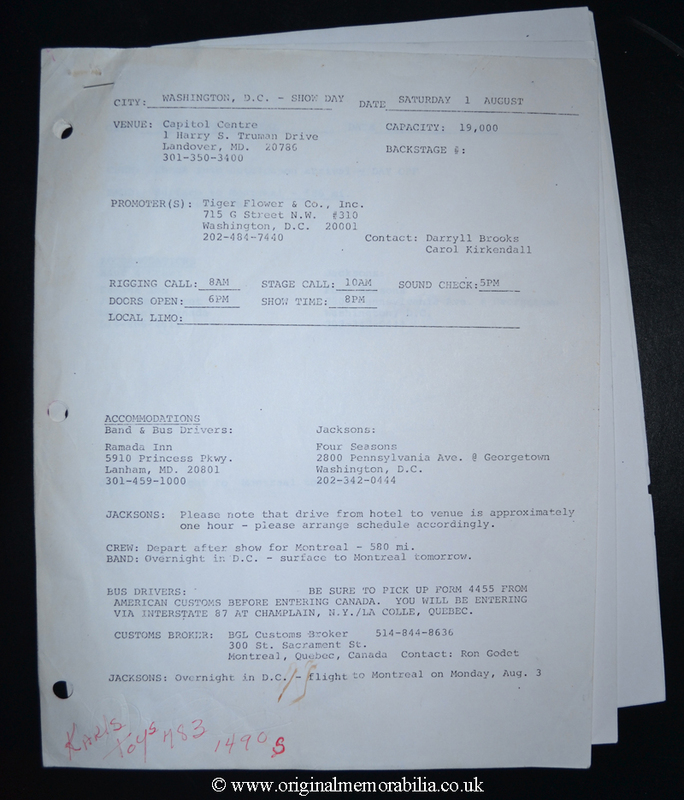 A fascinating document from 34 years ago. 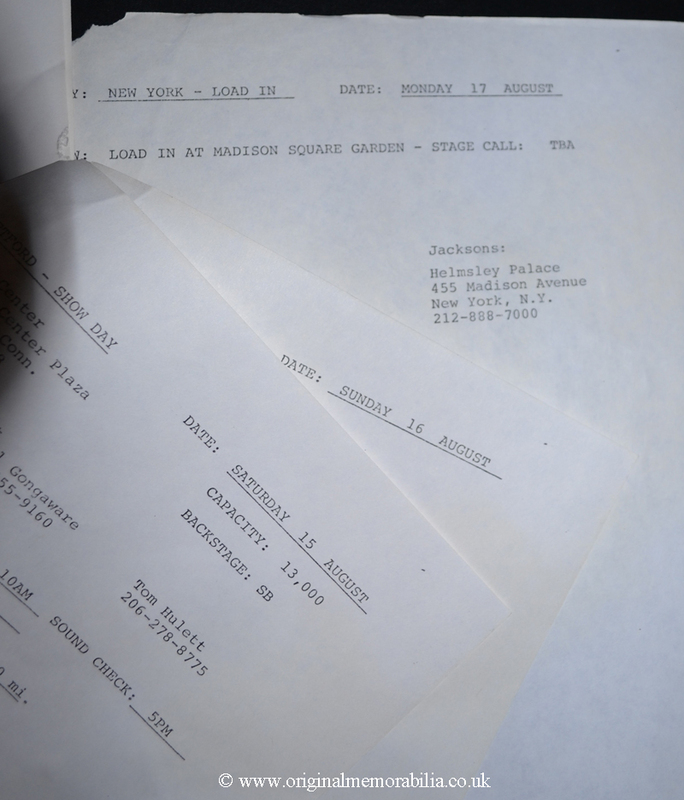 A very rare 16 page production used tour itinerary from the 1981 'Triumph Tour'. Starting on the front page at the Capitol Centre, Washington on Saturday 1st August 1981, through to Madison Square Gardens on the 17th August 1981. The itinerary provides precise details of the venues, hotels, time checks, flights and rest days for both the Jacksons and the crew. An intriguing note to the front page in red pen in an unknown hand reads 'KARLS TOYS 783 1490' Possibly a stop off point in Washington for Michael? Last page torn from staple with small area missing from page otherwise in very good condition for age.